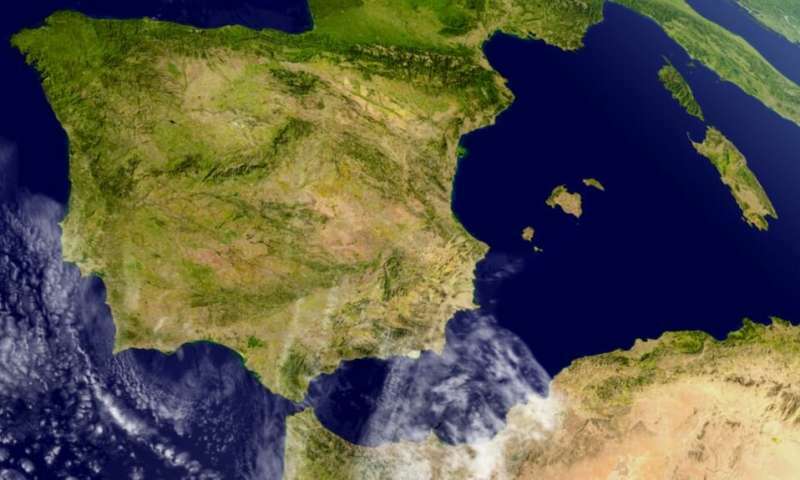 Their work, published in Nature Communications, identified stronger genetic differences in the east-west direction, and signatures of historical north to south population movements in Spain. Study lead author Clare Bycroft explains that these patterns reflect the unique history of Iberia: "Clustering of modern individuals, based purely on sharing of their DNA, identifies groups whose boundaries closely match the boundaries of distinct kingdoms, speaking different languages, present over 500 years ago." Together, these results indicate that centuries-old population movements associated with both the Muslim conquest, and the subsequent "Reconquista", have shaped the modern-day genetics of Iberia. Professor Simon Myers, who co-led the study, said: "Alongside previous work, such as a study of the British Isles, this study reveals that subtle, but rich, genetic differences exist in many parts of the world, but in distinct patterns that reveal the genetic legacies of particular regional histories." As well as these broad-scale patterns, some regions – such as Galicia in north-west Spain – show clusters of genetically similar individuals at much finer scales, such as along particular river valleys, down to scales <10km in places. Professor Peter Donnelly, who co-led the study, remarked: "The results of this study represent the finest geographic scales over which groupings of genetically similar individuals have so far been observed in humans." These highly localised groupings predict that geographically localised rare mutations, including disease-causing ones, are likely to exist. Yet for other regions, such as Castilla in central Spain, even individuals hundreds of miles apart are not reliably separated based on their DNA. Author Professor Angel Carracedo, from the Universidade de Santiago de Compostela, said: "The extensive fine-scale genetic differences we observe in Galicia might explain why certain genetic diseases in this particular region seem to be concentrated in small areas ("comarcas")." The full paper, "Patterns of genetic differentiation and the footprints of historical migrations in the Iberian Peninsula," is published in Nature Communications.